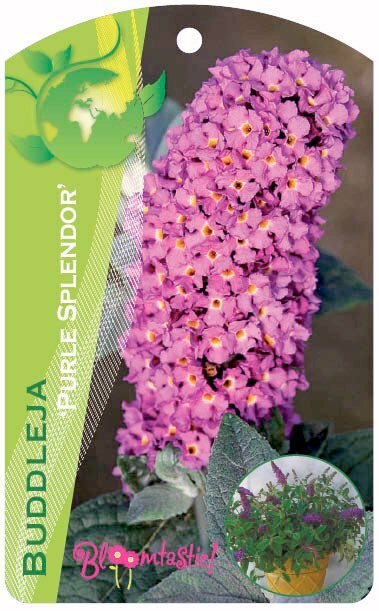 Peter Podaras in the USA has developed a large number of sterile or low-fertility hybrids in recent years: first at Cornell University (NY) with the Flutterby series marketed by Ball Ornamentals; then later at Hines Nurseries (CA) with cultivars named Hinebud. These are mostly hybrids of various species often requiring several generations to achieve the end result. Most are fully hardy and many have been selected for a very diminutive size. 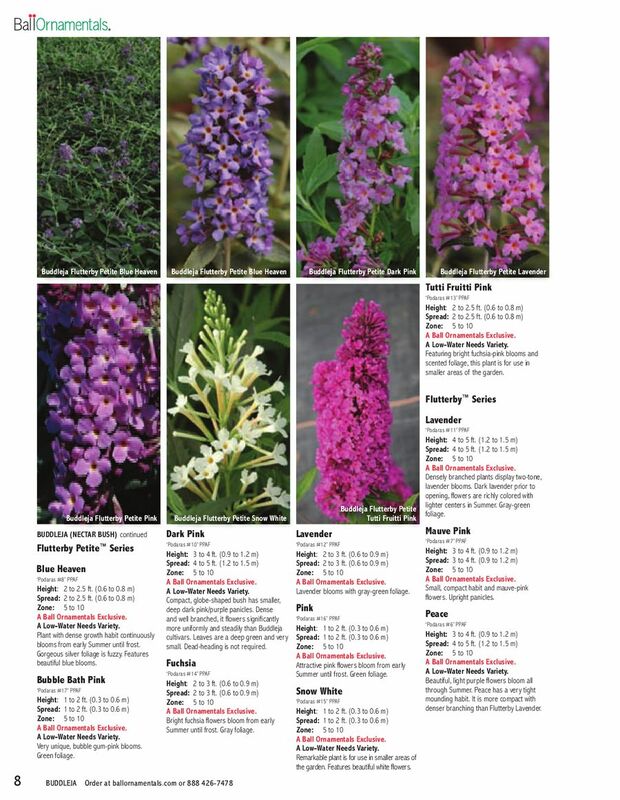 They are all patented in the USA and have Plant Breeders' Rights in Europe. 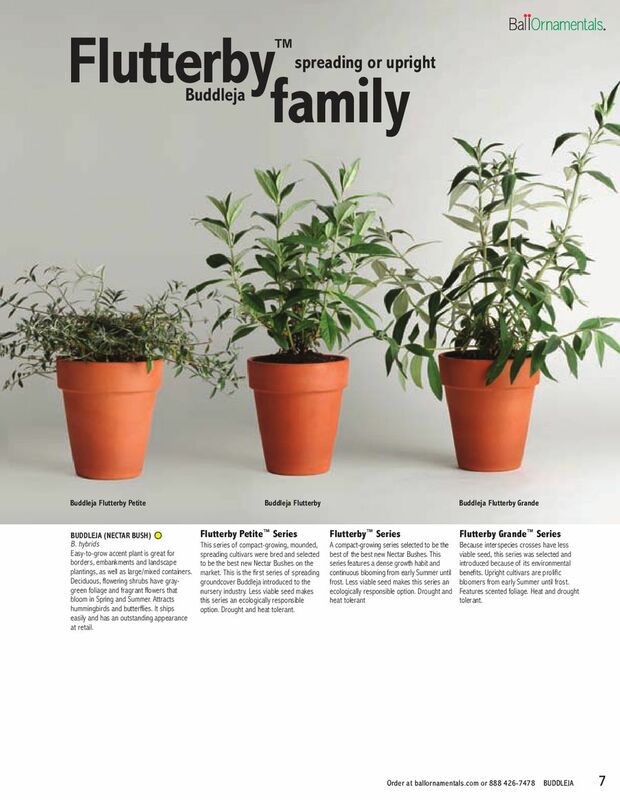 Many have different names according to location so the official cultivar names (Podaras# or Hinebud#) are shown for clarity. The seed parent is shown first and the pollen parent second. There are so many that they merit a separate page although not all culitvars are available in Europe. 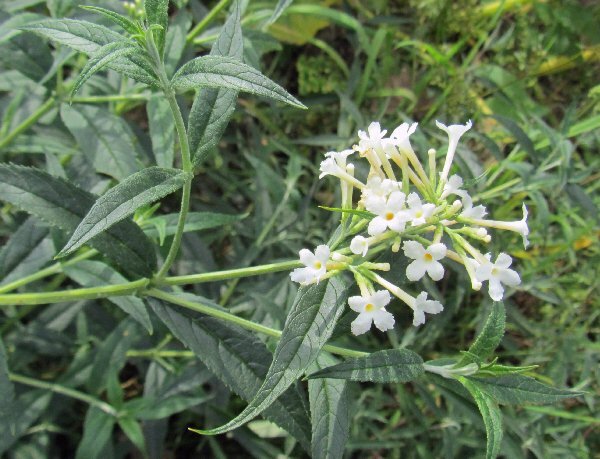 When I am able to acquire and assess these plants I will add photos and review their garden performance in the UK. 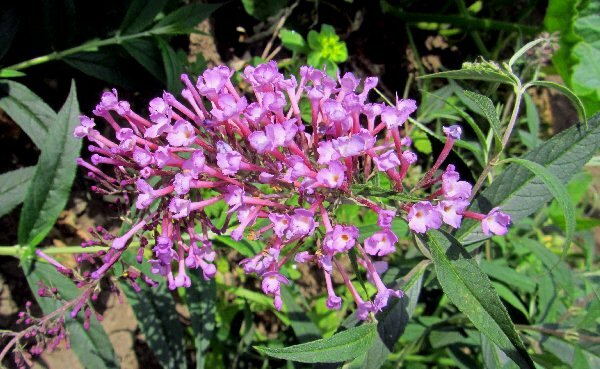 The female parent is a complex hybrid of Buddleia davidii×Buddleia alternifolia×Buddleia caryopterifolia×Buddleia lindleyana×Buddleia crispa. 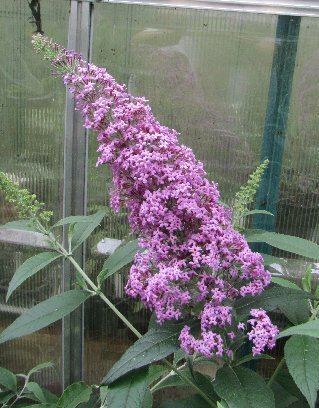 The male parent is a hybrid of (Buddleia davidii×Buddleia alternifolia) × Buddleia davidii. 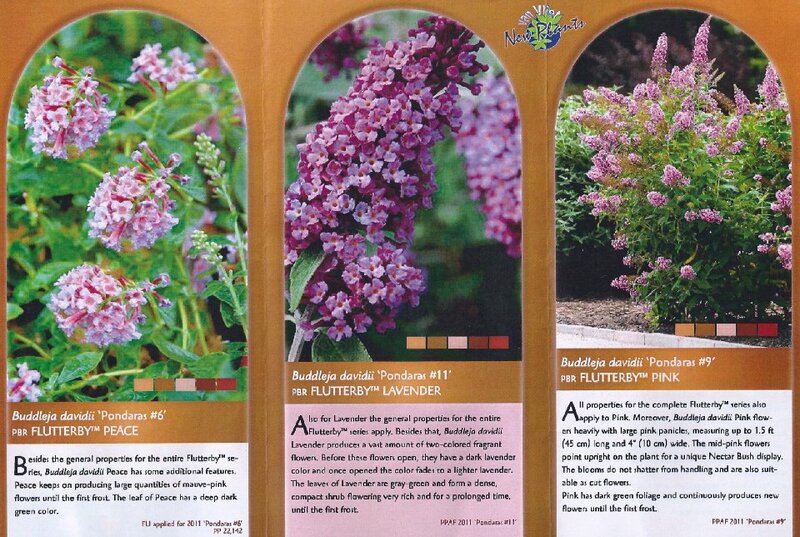 Divided into four series according to size and growth habit. 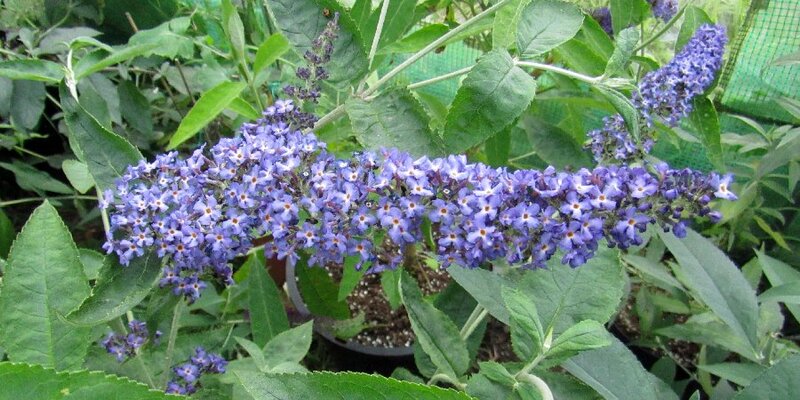 Buddleja crispa X Buddleja marrubiifolia. 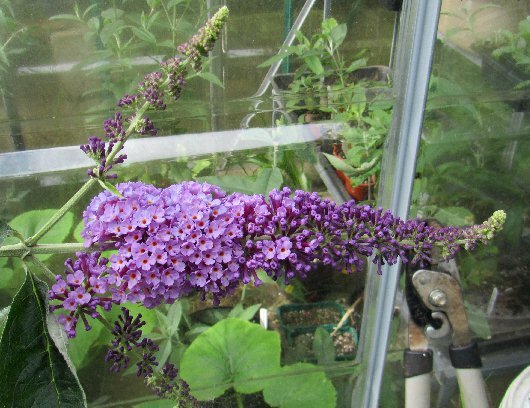 Buddleja weyeriana `Honeycomb` x (Buddleja marrubiifolia × (Buddleja davidii × Buddleja crispa)). 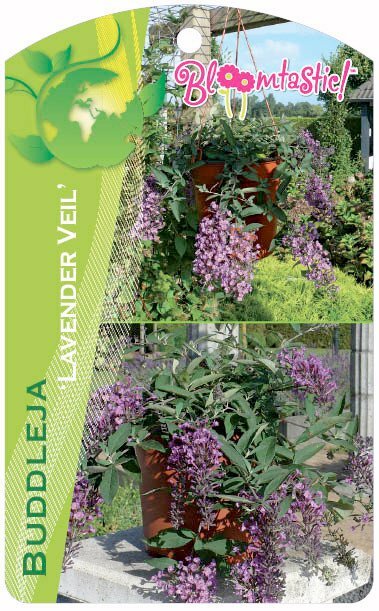 Available in the UK from Seiont Nurseries (wholesale). 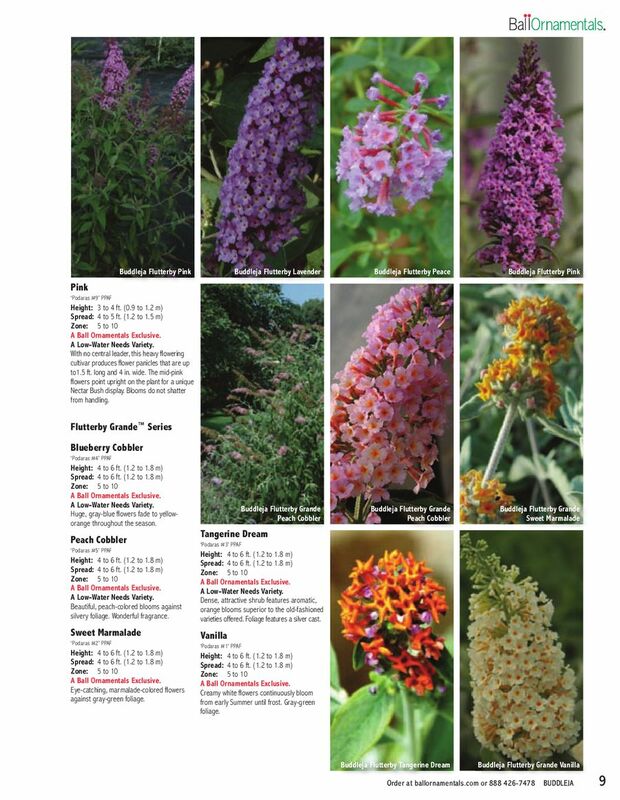 Cross of unnamed selections of Buddleja davidii. Note that this plant was mistakingly sold as Flutterby (Free Petite) Dark Pink by Suttons Seeds (UK) in 2013. 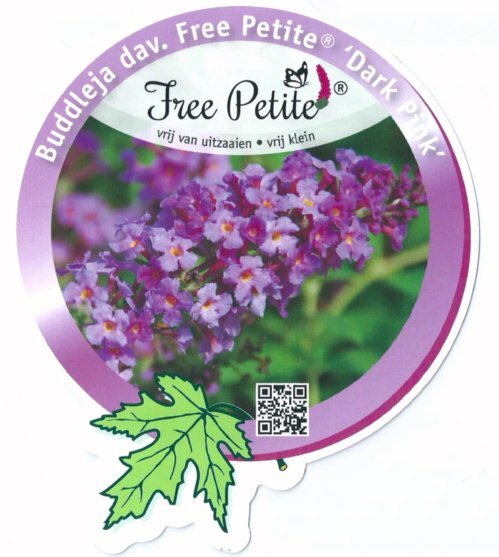 Left: Several Flutterby Petite cultivars are sold as Buddleja davidii Free Petite® in Europe, for example Podaras#10 Petite Dark Pink.